Porch Lights and Switch Options? I want to make my porch lights smart and thought I would do so with the switch that turns them on. Well, no neutral wire. So then I though I could get smart bulbs to replace the outside lights. Problem is, these lights are on a circuit shared with other switches, etc… Additionally, if I go the smart bulbs route, how do I ensure power is always on with only the 2 wires and no neutral? Can I twist those together and cap the one side of the dual switch plate? If so, what else can I do? Am I better with the bulbs in this case that go independent of any hub or anything? I’m a little confused by your description, but the switch for the porch lights only turns the porch light on and off, right? Nothing else? If so, the easiest thing is just to put a baby lock over that switch just to remind people not to use it (but it would still be available in an emergency). That’s what we do with our own porch light. These come in many different styles and prices and are available at any hardware store. The one we used cost about 80 cents but you can get much fancier ones for more money if you prefer. Alternatively, there are a couple of smart switch covers which can go over the existing switch and are battery operated. That way you still have a switch that people can use but it won’t actually cut the power. These work well, they just cost more when you might not need them for your use case. Yet another alternative is to get one of the switches that work without a neutral, like Lutron Caseta, and we can talk about those options if you’re interested. But they won’t look like the switch that they are next to and they require their own bridge device, so I think would be overkill for this particular setup. Are you sure one of those bundles with white wires isn’t the neutral? What year was the house built? I’m thinking there is neutral there as well, but it’s a bit hard to tell after the box was painted with the wall. Can you scrape some of that paint off the insulation and get more detailed pictures, like of the connections to the left switch? FWIW, that box also looks overloaded. I guess I need to pull the wires out and see more in there and take another pic to share. The right side of that dual switch is one of 3 switches in a 4-way light setup. That would be good. Is the porch light on the same breaker as the 4-way? I would recommend listening to @JDRoberts. He recomanded the easy way. 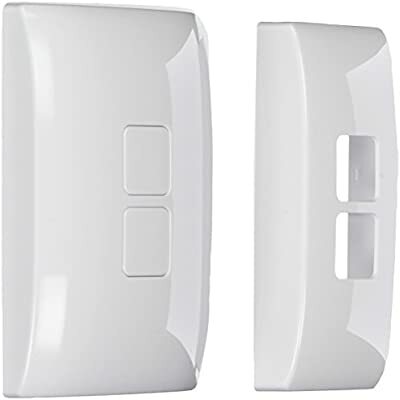 Cover the switch with a guard or my choice is a GoControl Zwave switch (see below) and install a Smart light bulb like Cree Connected or Ge Connect bulb or Hue bulb or other smart bulbs which support SmartThings. And than get a GoControl Zwave switch which can fit over a light switch to control the light. @Bry - yes, the left is on the same circuit as the right one that is the 4-way. Did you have thoughts regarding that? For wires on the 4-way, the top 2 are red, the bottom 2 are black that are connected to the switch. @lmosenko - Thought is a thought, but if I do that, do I just leave that switch underneath wired the way it is and all? Yes, the whole point of that set up is you don’t touch the wiring of the original switch at all. You just leave it turned on. Then the battery operated switch cover which fits over the top of the Switch gives you a button you can push for on and for off but they will not change the state of the actual original switch underneath. They just send a message to the hub, which then sends a message to the smart bulbs. 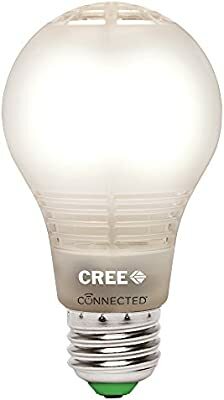 So the smart bulbs always have power because the original switch is always turned on. But there is also a wall switch that people can turn on and off, it’s just that it’s a battery operated device that is fitting over the top of the original switch but not changing the position of the original switch no matter which button you push. Again, if you read the FAQ that I linked to in my previous post it explains all the details of the various options. I did read that FAQ. Thank you. Also curious though on the 4 way thing, but maybe with my other plans, for now, keeping this simple may be the best route. That said, are there other covers like this, but different brand or whatever or is this pretty much all the options on this route? At the risk of repeating myself ( ironic, since the whole point of having an FAQ is so that we don’t have to repeat ourselves), there is, and it is mentioned in the same FAQ. There’s even a photo of it. How easy or hard are you prepared to go ? Thanks for all the responses. A lot to take in on this with what I want to do and all and am trying to remain at some “baby” steps. @JDRoberts - thank you again for clarifying. That said, my system started with the ST Hub v2 starter kit (with addition of water leak detector) and I also have some other items such as Harmony Hub, Echo Show, and 1 GE plus z-wave dimmer switch. 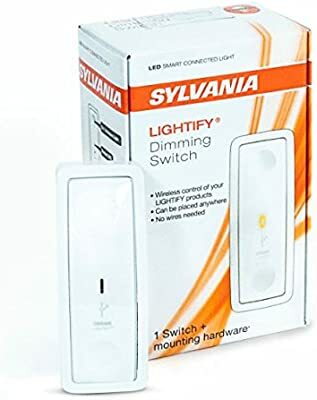 After further reading your FAQ’s, am wondering if I go with the Sylvania and that be the first zig-bee device, if my future plans include adding some smart led strip light close to this particular switch either with the Lightify, LifX, or Hue options, are there further things I should consider as I scale my smart home options and devices? I would still determine if you have a neutral or not. What year was your house built in? If you got the ST starter kit, all the included SmartThings-branded devices use zigbee, so you probably already have some. See the following FAQ. Start with post 11 in that thread, then go back up and read the whole thread and that should answer your planning questions. I’m just thinking with all the wires in that box, there probably is a neutral. Can’t tell for sure until you pull the switches out more and scape the paint off the insulation. I asked if the two switches were on the same circuit because if they are and you don’t have a neutral in the porch light “set” you may on the four-way “set” and can use that. 1977 could be iffy on having a neutral in the box, unless the house was rewired at some point. IMO, if you’re starting out, go ahead and hire an electrician and have him check a handful of locations for a neutral. This will ultimately determine your smart home lighting strategy and devices you can use. Either way, unless you want colors, I would go with smart switches. Lutron Caseta works withand without neutrals. Z-wave and zigbee switches require neutral. As @JDRoberts stated, there are others. For my setup, I like the Z-wave switches and would recommand the Gocontrol switch I posted above. However, there is also this Zigbee Smart Switch which also covers the existing light switch and has a slightly better look to it.